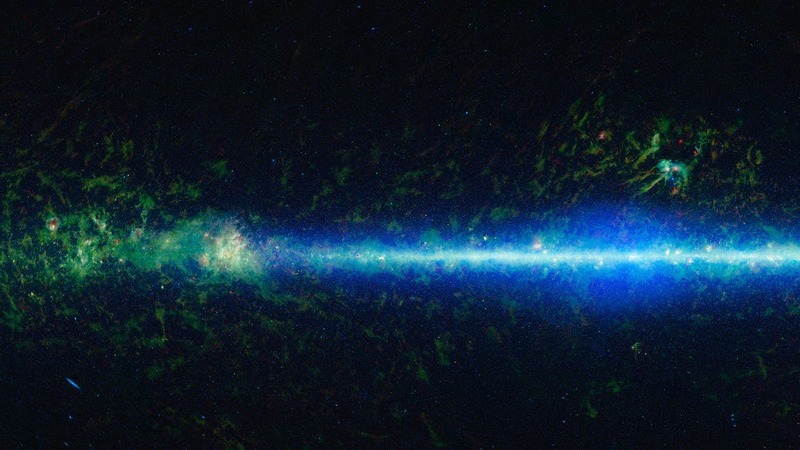 Our human window of vision on the Universe is incredibly limited, within a stunningly small range of wavelengths. With our eyes we see wavelengths between 0.00004 and 0.00008 of a centimeter (where, not so oddly, the Sun and stars emit most of their energy). The human visual spectrum from violet to red is "but one octave on an imaginary electromagnetic piano with a keyboard hundreds of kilometers long," according to astronomer James Kaler. 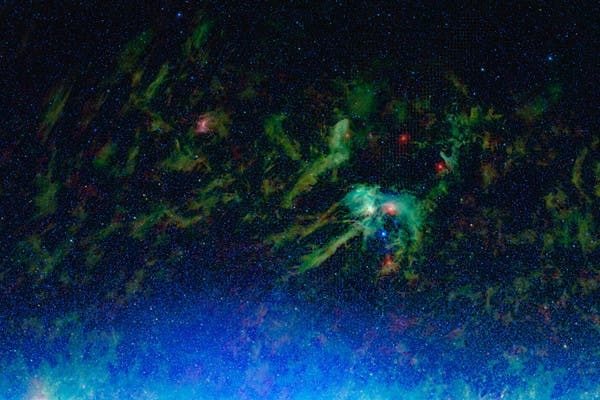 Using the infrared keys of the imaginary electromagnetic piano is WISE, launched Dec. 14, 2009, whiach has mapped the entire sky in 2010 with vastly better sensitivity than its predecessors. It collected more than 2.7 million images taken at four infrared wavelengths of light, capturing everything from nearby asteroids to distant galaxies. Since then, the team has been processing more than 15 trillion bytes of returned data. A preliminary release of WISE data, covering the first half of the sky surveyed, was made last April. Other discoveries were unexpected. WISE found the first known “Trojan” asteroid to share the same orbital path around the sun as Earth. One of the images released today shows a surprising view of an “echo” of infrared light surrounding an exploded star. The echo was etched in the clouds of gas and dust when the flash of light from the supernova explosion heated surrounding clouds. More discoveries are expected now that astronomers have access to the whole sky as seen by the spacecraft. The luminescent blue particles in the middle of the image below are stars in the tendrils of our disk-shaped Milky Way. They’re not really blue. As this photo was technically taken in infrared, the wavelengths captured are far beyond our color spectrum. But scientists use what are known as false colors as a visual shorthand to identify objects. Blue is used in shorter IR lengths, green in medium, and red in longer. In this regard, the colors–while entirely fictitious–parallel our visual spectrum.